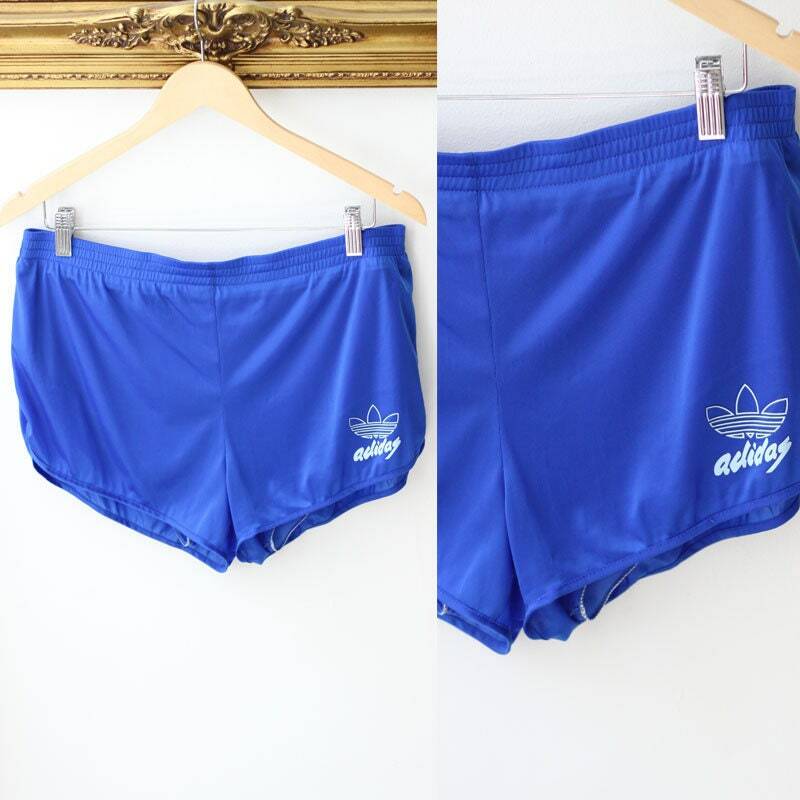 1970s royal blue Adidas athletic short shorts or running shorts. 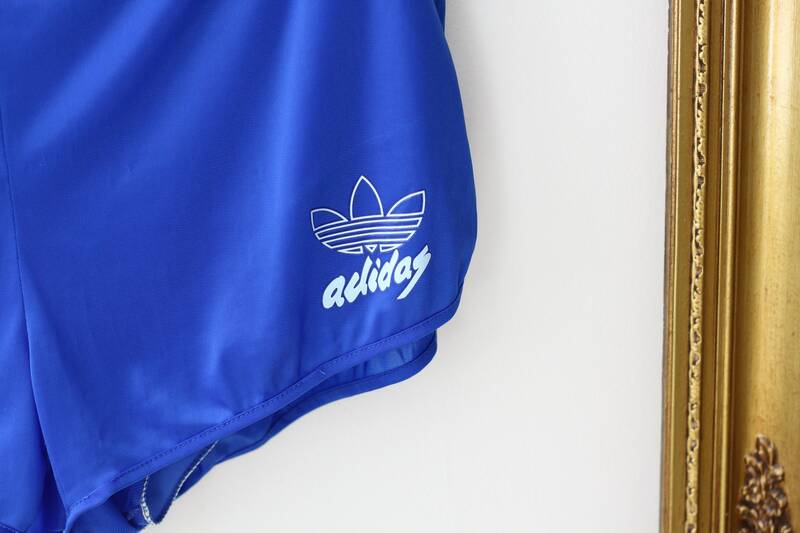 I love the old trefoil logo at the front of the bottom of the shorts. 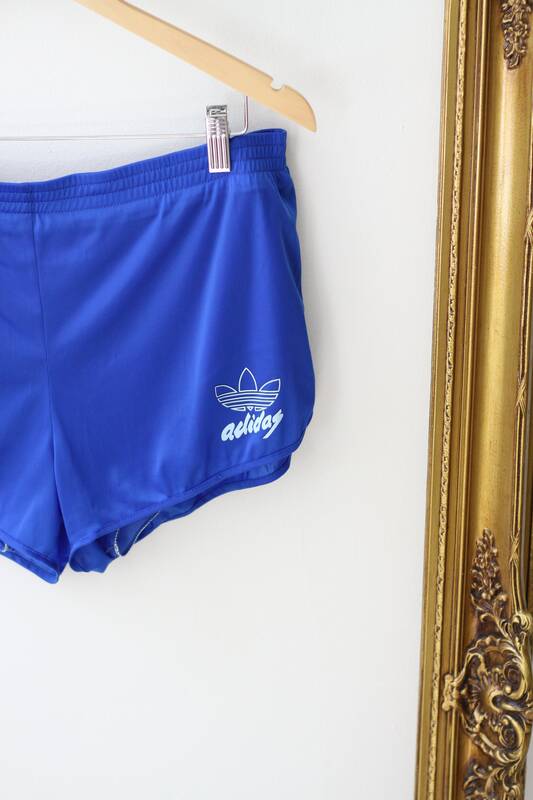 Rounded edges that split in the middle of the side of the shorts. 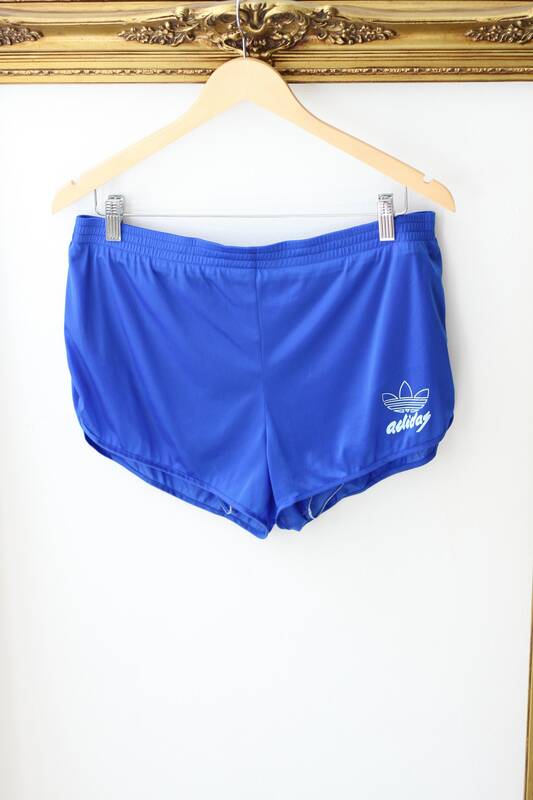 Elastic waistline which makes them flexible for sizing.